When you’re buying a car in New Zealand and you need to get a compact vehicle, there is a lot to consider. Should you buy a hatchback or a sedan? Which type of car is right for you? Here’s how to narrow down the options to get the best small car to suit you. The Toyota Corolla was New Zealand’s best small car, in terms of popularity, in 2015. The Suzuki Swift, Toyota Yaris, and Mazda3 have retained their place in our top 10 sellers, according to the Motor Industry Association. If fuel economy is a major consideration when you’re buying a car in New Zealand, then a small car may fit the bill. Encouragingly, for the environment, Kiwis are driving driving fewer kilometres than we used to in the 2000s. The association’s research shows small cars have progressively become more fuel efficient since 2007. Is a hatchback the best small car for you? A hatchback is a small passenger car with a large boot. 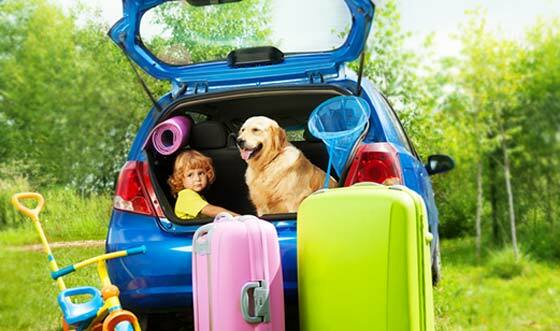 A hatchback’s roof doesn’t drop to meet the boot, instead, it has a rear door that opens upwards so you can reach the entire cargo area at once. Most hatchbacks let you fold down the rear seats when not in use, possibly the best small car option if you need more storage space. The boot is bigger, so you can fit more booty in it! Families love hatchbacks because they fit a pram and the shopping in one space, unlike many sedans. You can even fold the rear seats down in a hatch when you want to get your new bedframe home from IKEA. Hatchbacks apparently hold their resale value better than larger cars. Hatch is usually shorter, with a shorter bonnet so it’s easier for learner drivers to see where the car “ends” and avoid carpark run-ins. Hatches usually have a windscreen wiper for the rear window, since it is not on an angle like the sedan’s window is. This can make it easier to see through the rain to the traffic behind you when driving a hatch. Better fuel economy than a sedan, so you can drive for longer on one tank. Most hatchbacks and sedans are fairly equivalent in terms of grunt power, but the strongest hatchbacks don’t have as much engine power as the strongest sedans. This means a hatchback is probably not the best small car option if you’re looking for some serious oomph. Is a sedan the best small car for you? A sedan is a traditional model of passenger car where the roof slopes down to a boot that is separate from the passenger cabin. Sedans are named after the sedan chair, a throne that had a roof and four carrying poles attached, so that royalty could be carried about by their servants. This historical reference alone may sway your opinion on the best small car. Most hatchbacks and sedans are fairly equivalent in terms of grunt power, but the strongest hatchbacks don’t have as much engine power as the strongest sedans. Strong driving power can mean a smoother drive for both driver and passengers. The sedan is usually longer than a hatch, which means more leg room for those in the back. This is great once your kids become long-limbed teenagers. The sedan can be quieter in terms of road noise, because they have more layers of isolation between the rear wheels and the cabin. Generally more expensive than hatchbacks. So there you have it. When you need a small car, a hatchback or a sedan both have pros and cons. The choice is up to you. Kiwis’ idea of the best small car will differ based on a whole range of reasons. 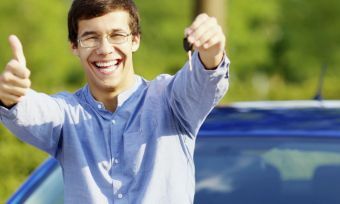 Just one more thing before buying a car in New Zealand – make sure that if you need finance, you get a personal loan that will get you up and running instead of slowing your budget down. Canstar takes the hard work out of looking for a good value personal loan for you, by researching and rating products on the market in New Zealand. Just compare your options on our website and make a shortlist of products that might suit your needs.